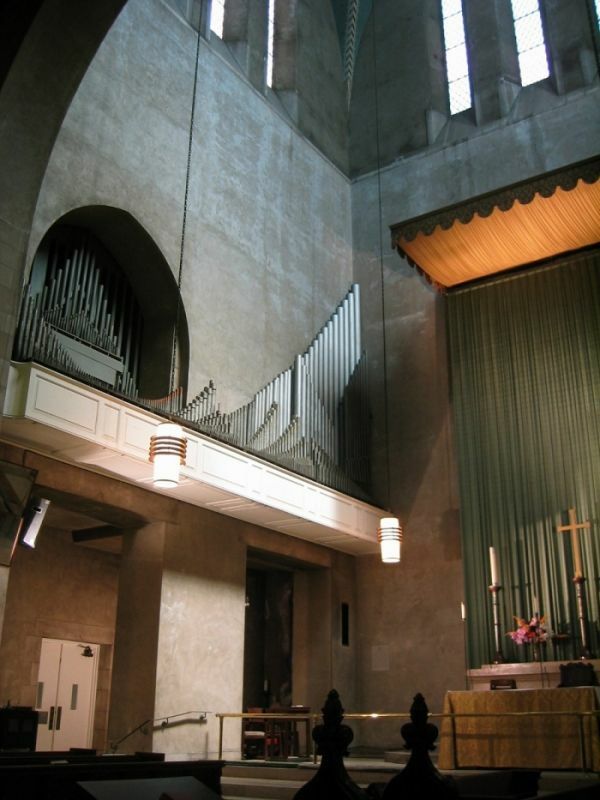 Epiphany’s 50-rank, 3-manual Aeolian-Skinner pipe organ, opus 1412, dates from 1963 and is housed in the chancel tower. It retains the Pedal Bourdon and Positiv Dulciana and Unda Maris stops from the 3-manual 1916 Steere organ that preceded it. Built under the tonal supervision of Joseph Whiteford in dialogue with John Cartwright (Organist and Choirmaster from 1958 to 1987), the Epiphany organ is a masterpiece of historic significance. Elegantly and clearly voiced, it works very well for music of widely different styles. For more photos, stoplist, and other details about the instrument, go to the New York City Chapter of the American Guild of Organists website by clicking here. In the sanctuary, we have a Mason & Hamlin model AA grand piano, which was restored under the supervision of Tali Mahanor. It is a beautiful instrument, particularly for interpretation of Romantic repertoire.